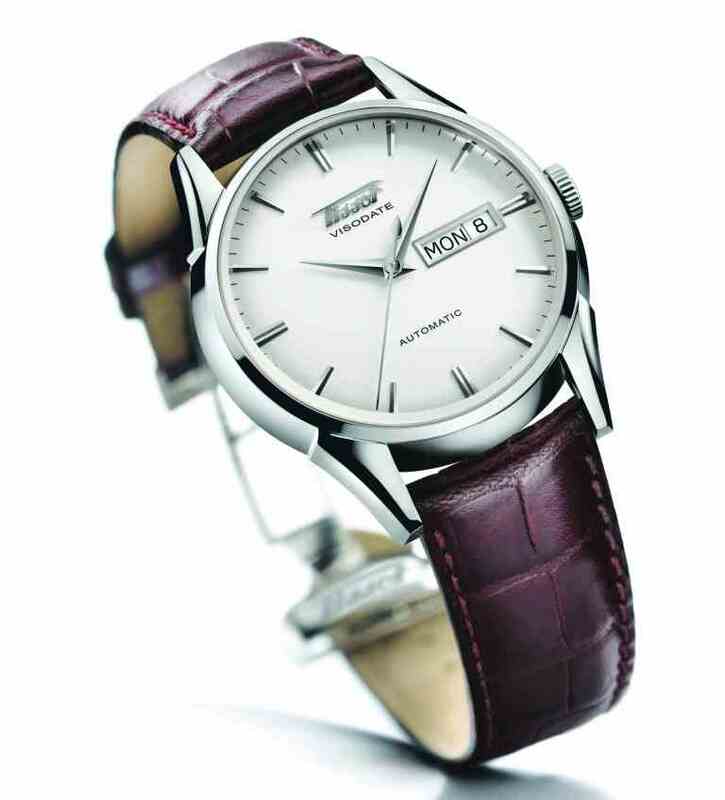 Today’s Tissot Visodate 1957 Automatic has its roots in a long history of innovation. Inspiration for this timepiece comes from watches released in the 1950s when Tissot celebrated its centenary. A particular milestone of that era was the integration of a date display into the automatic mechanism and the new watch presents this feature in eye-catching contemporary design. A high-tech domed sapphire crystal covers the lightly curved dial, displaying the proven Tissot expertise in bringing the latest techniques and materials to traditional Swiss watchmaking. The case has a diameter of 40 mm and a see-through back to ensure that the timepiece’s inherent dynamism is always on view. True to tradition, the day and date are easily visible, adding to the classical character of the watch. Historical Tissot logos on the dial and heritage buckle ensure that the origins of innovation are remembered. 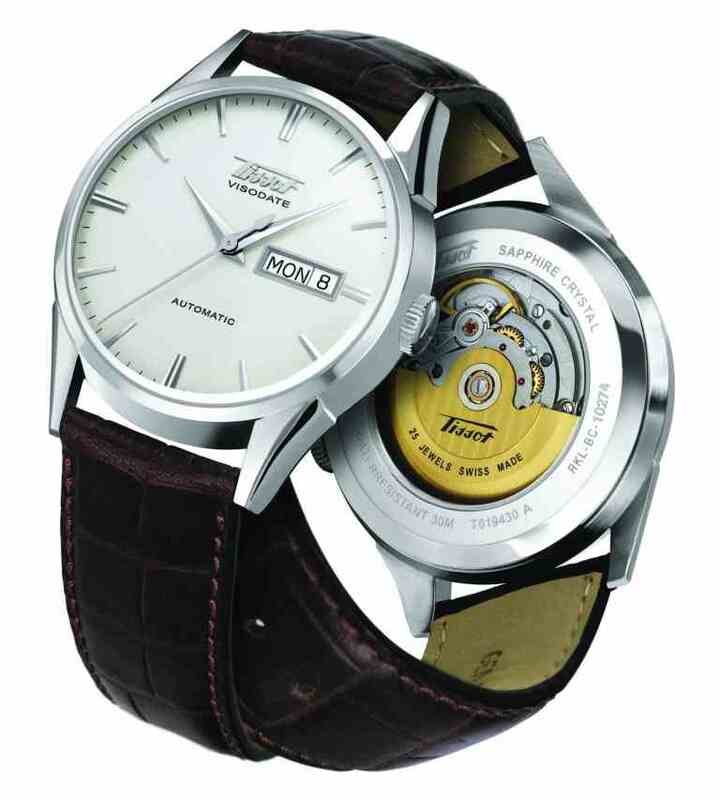 The watch features an ETA 2836-2 (gent) movement with a power reserve of 42 hours. The four variations of the Tissot Visodate 1957 Automatic accommodate current tastes and trends with modern materials and finishes. Two models have classical silver-coloured stainless steel cases and two get a fashionable twist with state-of-the-art PVD coating. The dials are black or silver, elegantly combined with a fine leather strap bearing a trendy crocodile style. These watches complete a range of looks during business and leisure hours.